An t-Ardghort This is the name both of a townland and of a field within it. It is not clear which derives its name from the other but the meaning is clear - the high cultivated field. Baile Iarthach Theas & Baile Iarthach Thuaidh The south-west townland and the north-west townland or habitation. 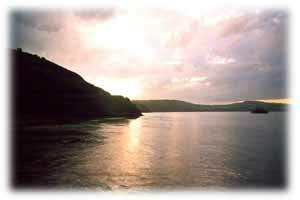 Ceathrúna Quarters. It is a term used in land division. Cill Leice Fórabháin Perhaps the burial place and 'slab' of Mac Forabháin. Cnocán na mBairneach Hillock of the limpets. Cnocán an Choimhthigh Hillock of O'Cowhig, or the stranger. Coinlín It means stubble area, the stubble being what is left of the corn in the ground following the harvest. Crathach Thiar & Crathach Thoir Perhaps, the boggy or marshy place, west and east, or the name may refer to the round shape of the most prominent hill in the area. Glean Iarthach, Gleann Méanach & Gleann Oirtheach West Glen, Middle Glen, East Glen. Gort na Lobhar Field of the lepers, probably indicates the use of the area as a place of quarintine for those afflicted with contagious diseases. 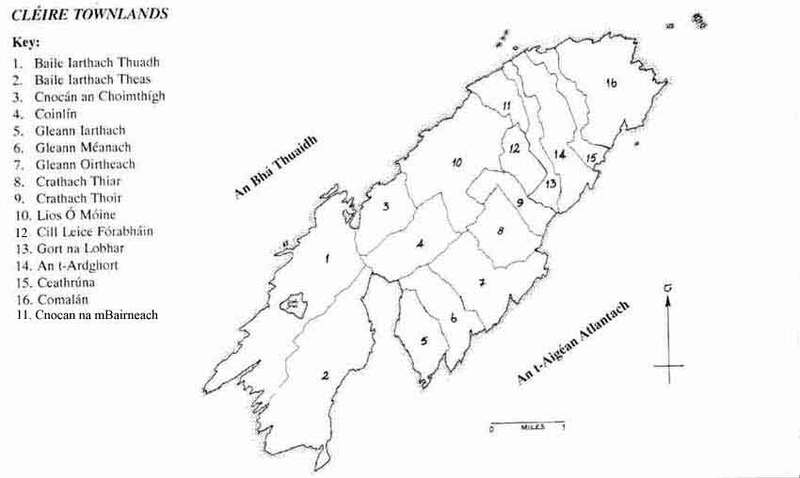 This townland name would seem to have derived from a field within it which still bears the same name. Lios Ó Móine The habitation of one named Mughain.